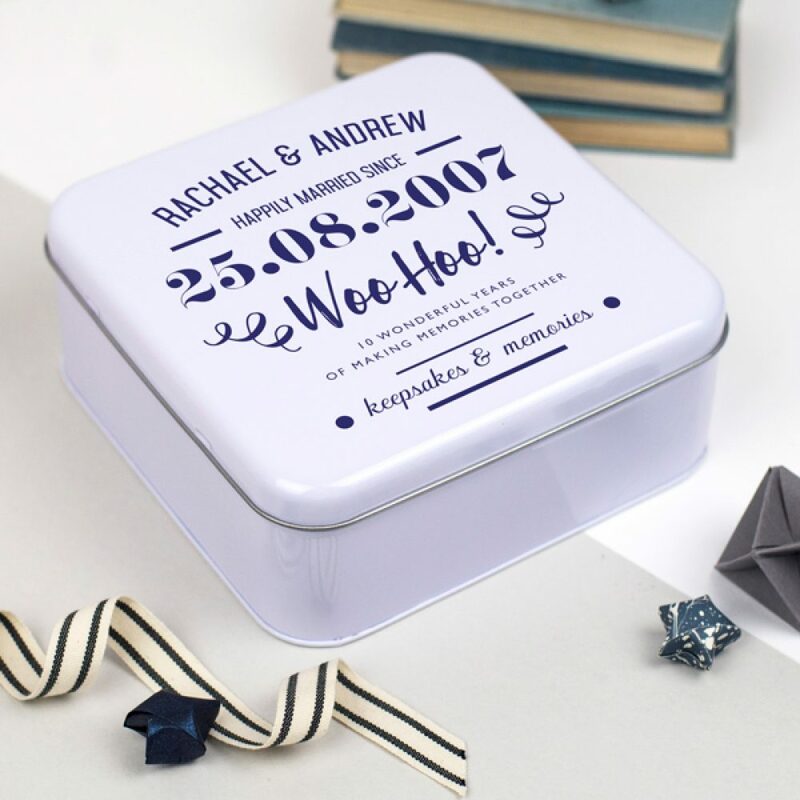 Our personalised 10th anniversary tin box makes a great gift for a couple. Perfect as a 10th anniversary gift this keepsakes tin box also features your own choice of wording and date to make it unique. This personalised 10th anniversary tin box makes a great present. 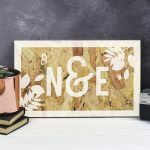 Perfect as a gift for a couple, husband or wife and personalised, making it completely unique. 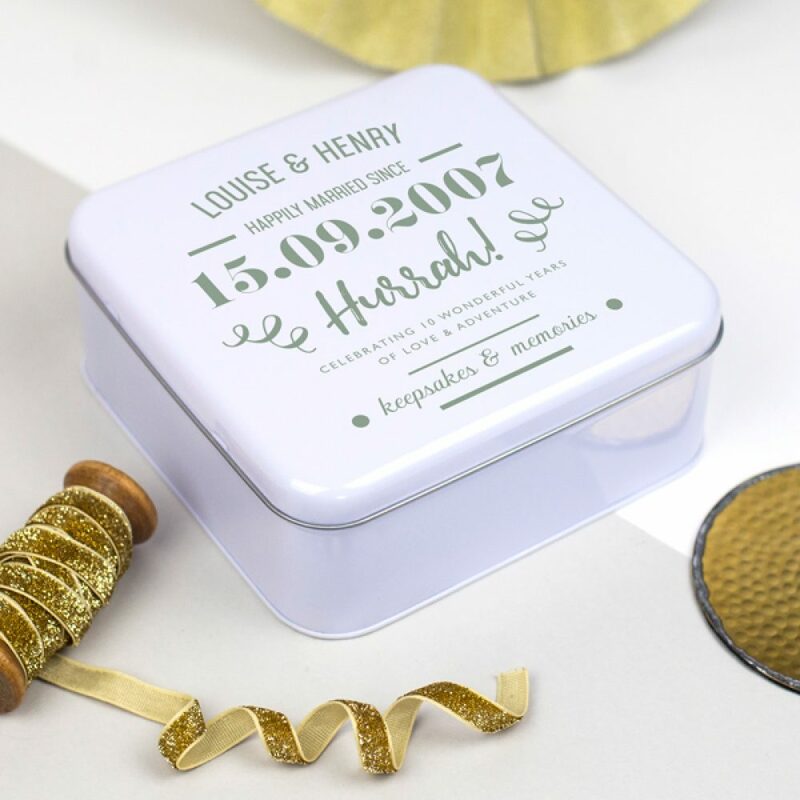 Use this 10th anniversary tin box as a place to keep special memories and keepsakes. These could be photographs, tickets, cards, letters, or any special mementos. 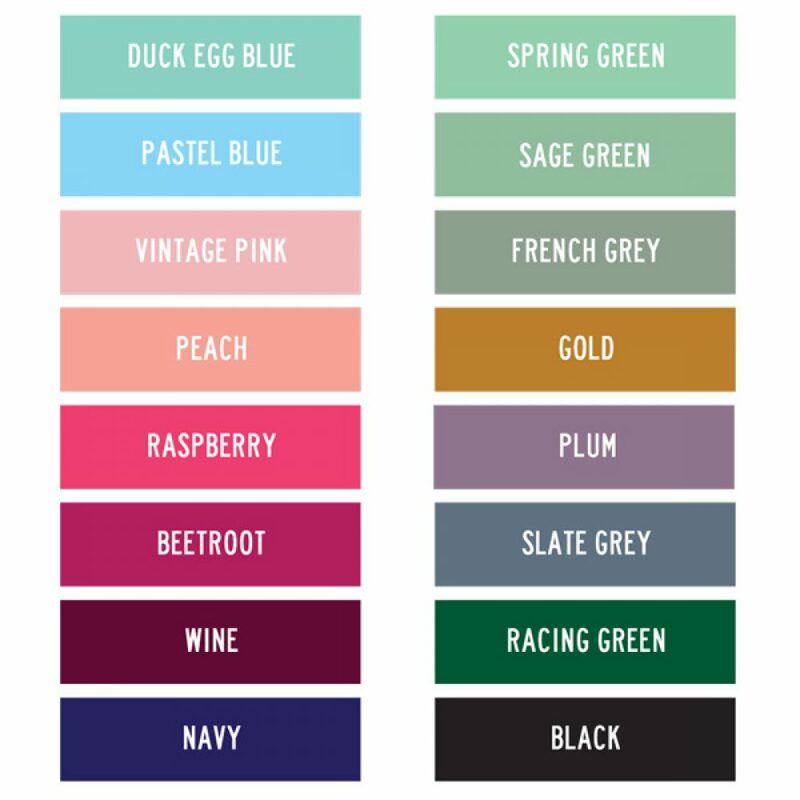 Choose from a range of 16 different colours for your design to be printed in, this will be printed on the lid of the white tin. 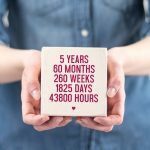 Begin adding your personalised wording to your tin to make it an extra special 10th anniversary gift. 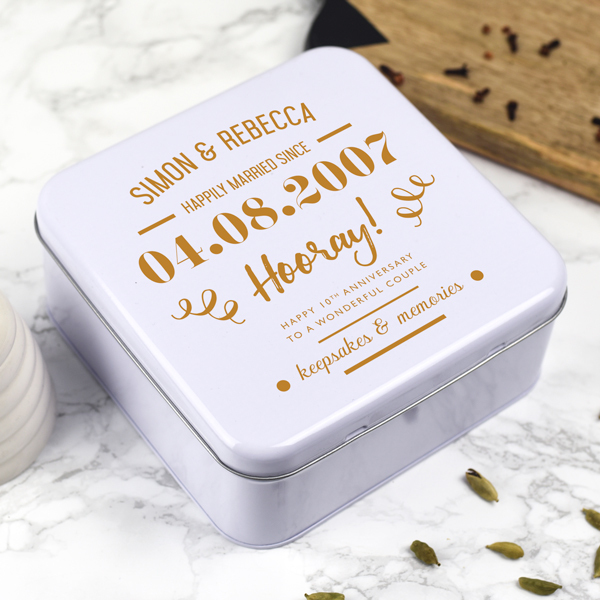 Add the names of the couple followed by a phrase such as ‘happily married since’ and then add the special date. After this, add an exclamation word such as ‘hooray!’, ‘hurrah!’ or ‘woohoo!’. Finally add another short phrase, for example ‘celebrating 10 happy years together’. 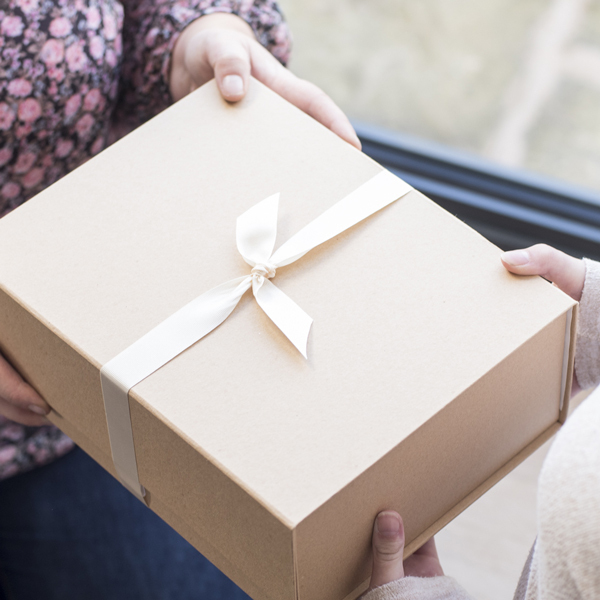 We offer a gift wrapping service as an optional added extra, perfect for a special anniversary present. 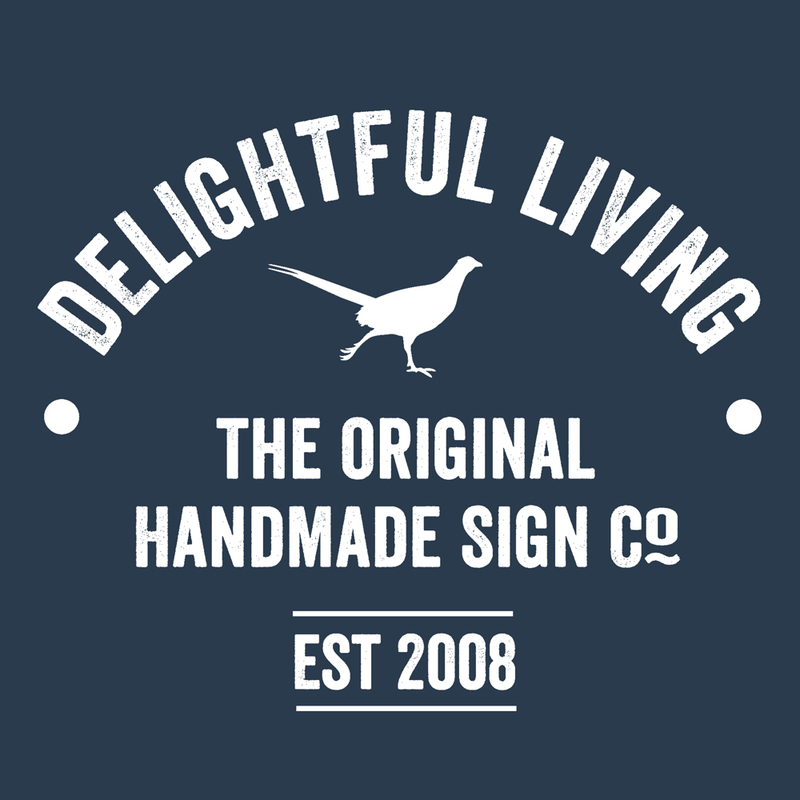 Made from tin and printed in our Derbyshire studio.